Dying girl’s final wish comes true – to be an air hostess for the day! YOU'RE READING Dying girl’s final wish comes true – to be an air hostess for the day! A group of flight attendants have made a terminally ill girl’s dream come true. Shannie Pooser from South Carolina in the US has Down syndrome and a terminal lung condition which is gradually suffocating her. Despite the grim diagnosis, the family of the plucky 17-year-old have said they’re determined to make every second count and have drawn up a bucket list for her. Shannie’s family say her biggest dream has always been to become a flight attendant. 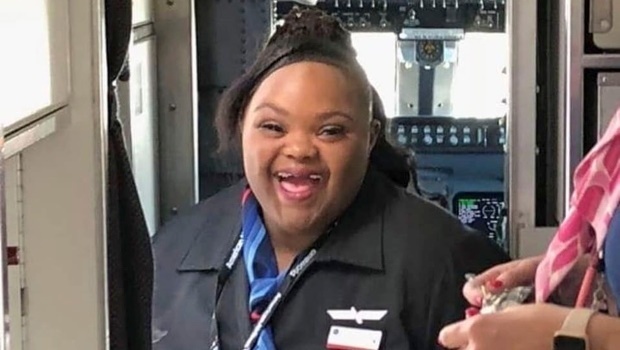 Fortunately, American Airlines was able to make her dream a reality. 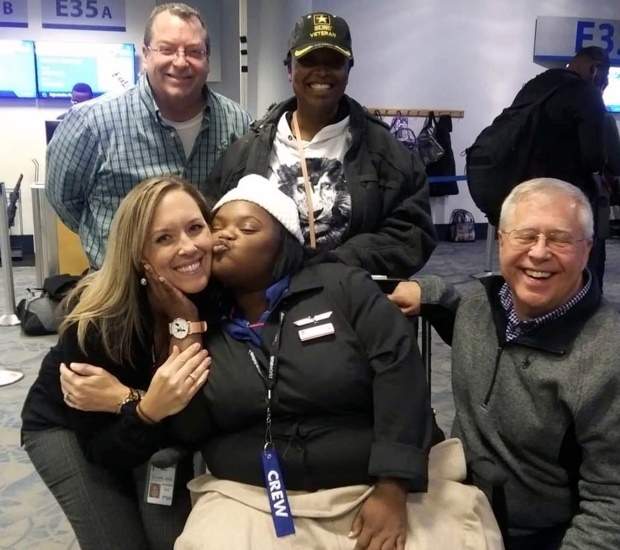 The company even provided Shannie's family with seats on the plane so they could all see their girl at work. 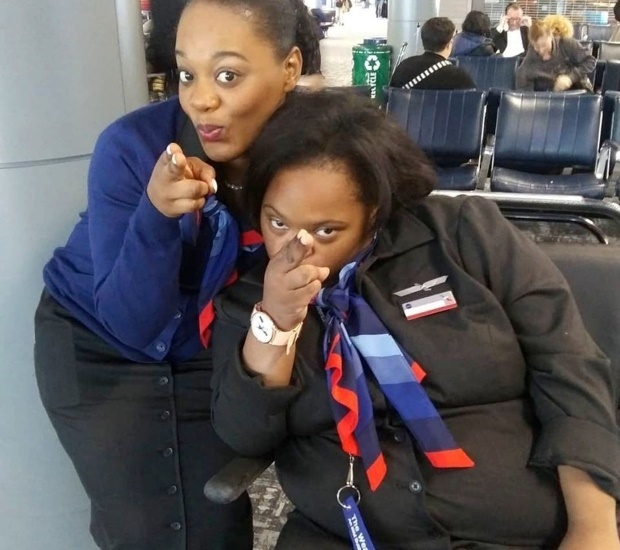 Videos shared by Shannie's proud mom, Deanna Berry, earlier this month show the teen working as a crew member and helping passengers put on their seat belts. Another video shows Shannie dishing out food as the crew look on. "She’s currently battling a series of terminal airway defects,” Deanna said. "So basically she suffocates throughout the day, especially at night time. "Night time is the hardest for her. 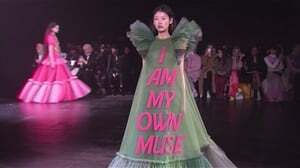 So for her day-to-day activities, she’s not really doing much. "Despite that, I’m just on a mission to make all her dreams come true." The mom of five hopes Shannie’s story inspires people to pursue their dreams. "She’s incredibly amazing and I love her fight and I draw strength from her,” Deanna said. "So what we do is we share our story to empower people to never give up on your dreams regardless of your ability. "And to never stop until you reach your goals. "There’s no sky, there are no limits when it comes to your dreams and aspirations."